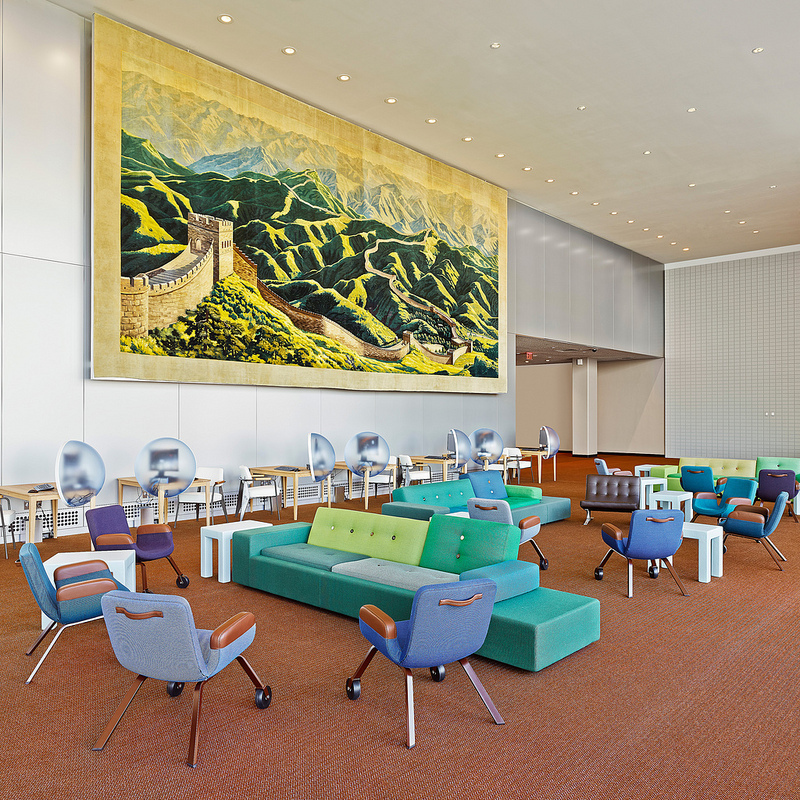 Leading Dutch Designers Refurbish Delegates’ Lounge at UN Headquarters in New York. 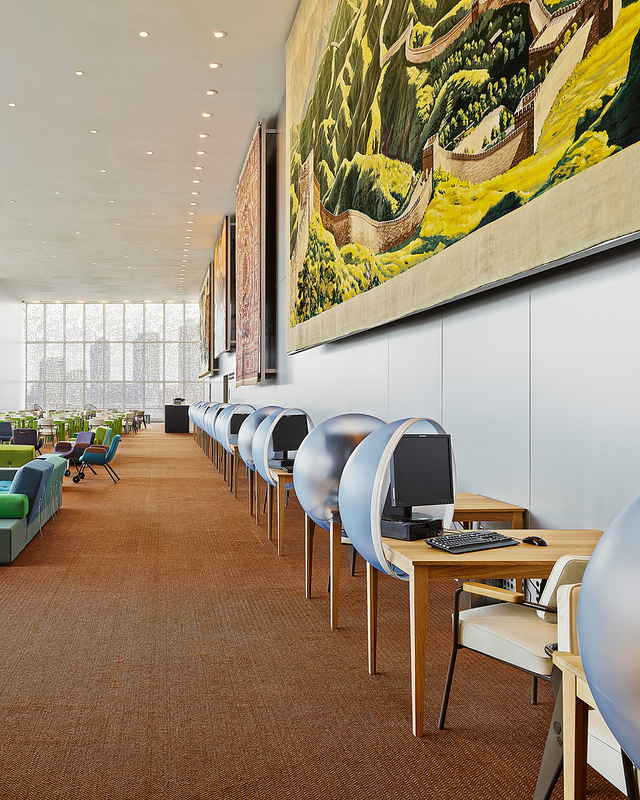 On Wednesday 25 September, Her Majesty Queen Máxima, UN Secretary-General Ban Ki-moon and Minister of Foreign Affairs Frans Timmermans will open the renovated Delegates’ Lounge at UN Headquarters in New York. 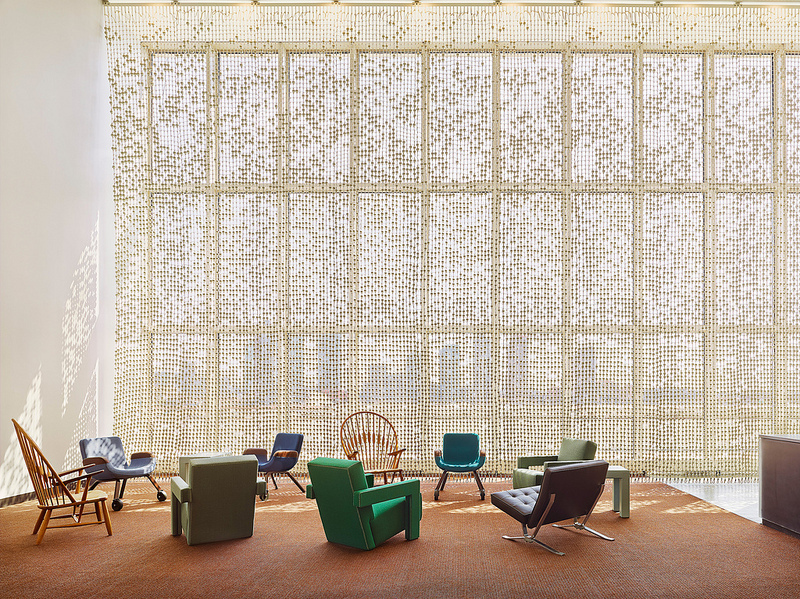 The Lounge is a meeting place for world leaders and thousands of politicians, policymakers and diplomatic representatives of the 193 member states of the United Nations. The room was recently remodeled and newly furnished by a Dutch design team assembled by designer Hella Jongerius. 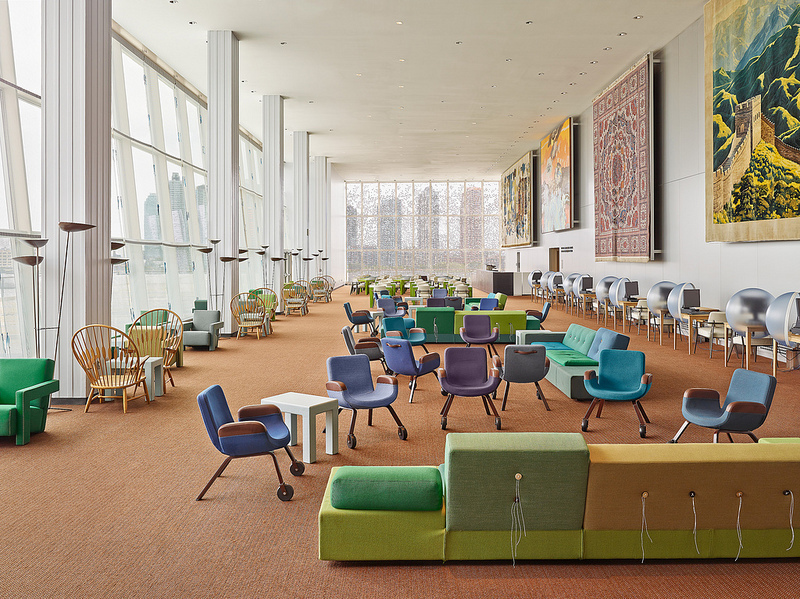 The original UN building was constructed between 1950 and 1952, and after 60 years of use, it is in need of a thorough renovation to prepare it for the next 50. 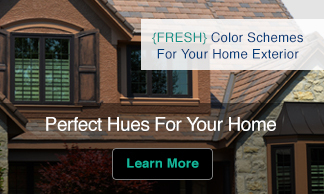 At the time, Donations were instrumental in securing the funding needed to have the headquarters built. 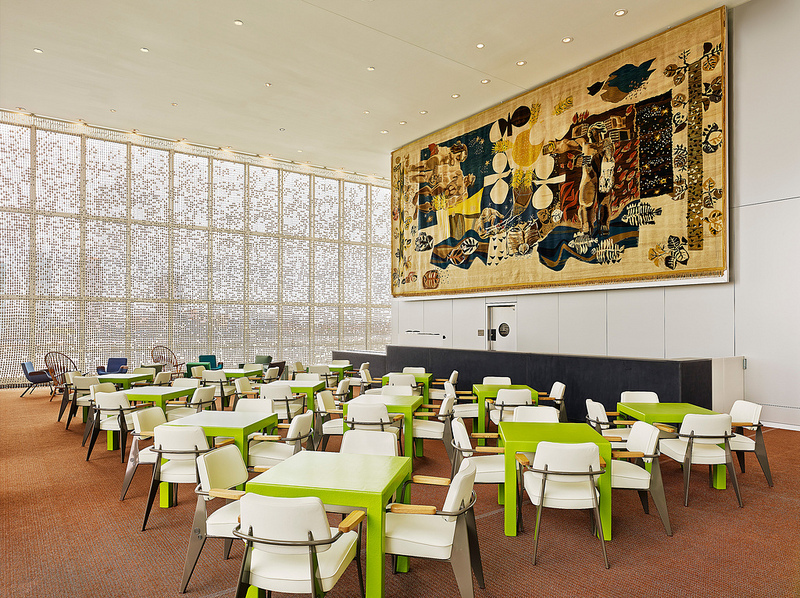 The UN is continuing this tradition, asking member states to donate money for the renovation. 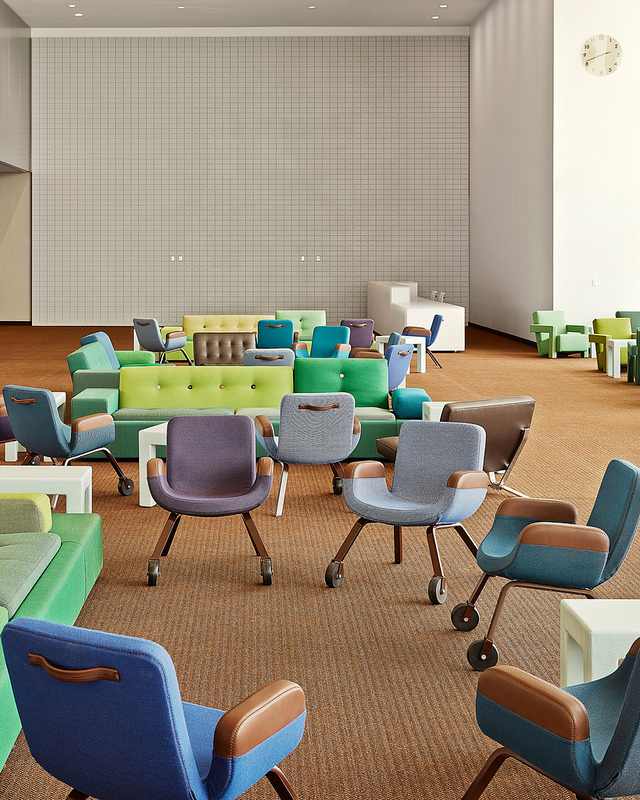 The Netherlands decided to ‘adopt’ the Delegates’ Lounge, which is located next to the General Assembly Hall, and in 2010 the Dutch authorities asked four design teams to submit proposals for the refurbishment. 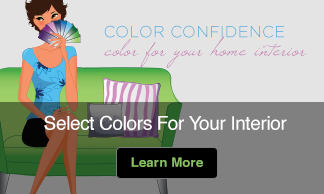 Openness and transparency are the distinguishing characteristics of the winning design. In addition to Ms Jongerius, the team consists of the architectural firm OMA, artist Gabriël Lester, graphic designer Irma Boom and theoretician Louise Schouwenberg. 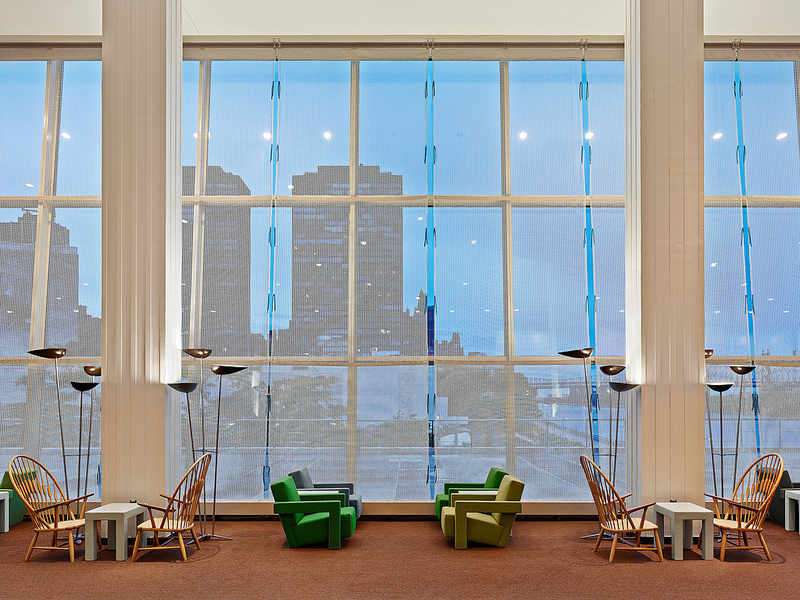 The design’s most significant architectural alteration was the removal of the mezzanine in order to restore the open character of the original space and enlarge the view of the East River. 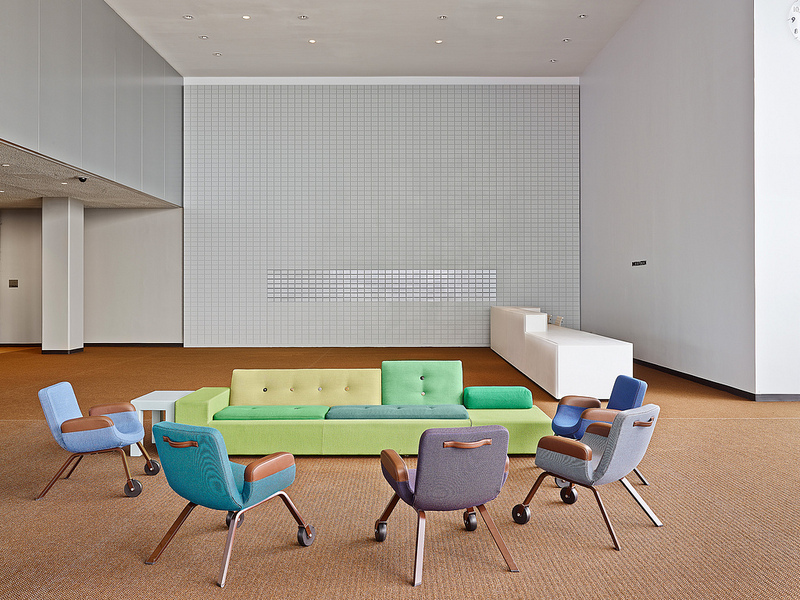 The renovation and furnishing of the Lounge was an excellent opportunity to spotlight Dutch design, architecture and arts in an international arena. It was also a chance to give a fresh economic boost to the Dutch creative industry, a sector that accounts for 280,000 jobs At the same time, this project is a way for the Netherlands to demonstrate the value the government attaches to the United Nations and multilateral cooperation.